Every organization reaches a time in its existence when change becomes imperative – a matter of survival. The appropriate manager must then formulate a desirable target for the transformation: a target that will yield benefits to those who will transform themselves. At this point, the hardest task remains: the transformation itself. Transforming an organization and its people is like climbing a mountain. The manager has three options for leading the way up: the bus, the sleigh and the adventure. 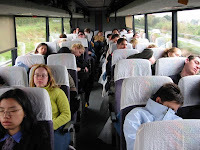 In the bus, the manager’s people can sleep or passively watch the scenery while the manager drives. When they reach the top of the mountain, they will likely enjoy the view but probably find that it’s a bit cold. Soon enough, they’ll glide back down to the valley. Indeed, reaching the top of the mountain required no commitment or personal investment – no skin in the game – and has little value to them. The manager who chooses to use a sleigh will harness his people and whip them mercilessly until they reach the top of the mountain. When they arrive, most will be dead and the survivors will hate him (and possibly their job, or each other, etc…). The results might be durable, but hardly desirable. It is likely that the scars will never heal. The manager who challenges his people to leverage their collective intelligence to devise a path that they will willingly travel up the mountain will initiate a lasting and fruitful transformation. This adventure becomes a liberating and synergistic shared experience, a founding myth of the new organization. 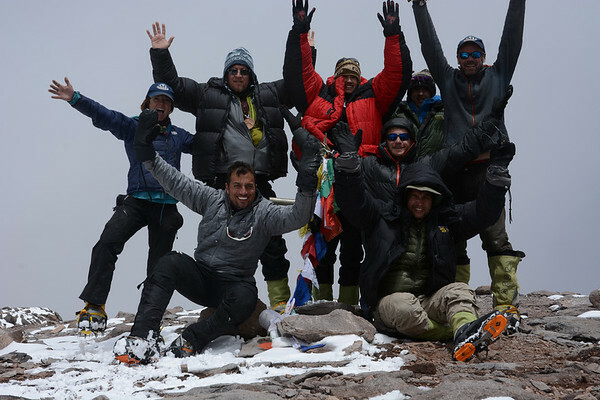 The adventure must be organized in such a way that those who transform themselves are climbing the mountain in short stages, with the applause and benevolent support of their manager and domain experts. When they reach the top of the mountain, they will own the transformation and form a new organization born of the journey.